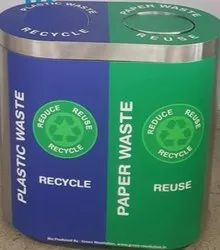 Offering you a complete choice of products which include perforated paper bin, round perforated pedal bins, steel ash bin, steel push bin, pedal waste bin and road side steel dustbin. 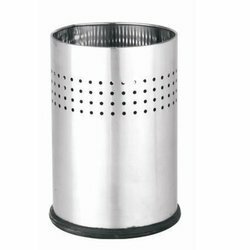 We are one of the renowned manufacturers of Perforated Paper Bin by using qualitative raw material are designed in strict compliance with the well defined industrial standards and are widely demanded in the market owing to their best functionality and consistent service life. These products are highly demanded in the market and are available for clients at affordable prices. 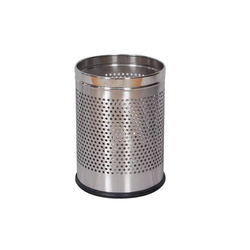 We are one of the premier names in the industry that manufactures a qualitative range of Round Perforated Pedal Bins that are designed and fabricated using precision engineering techniques and quality raw materials. Our range is also offered in varied specifications as per the clients’ requirements. 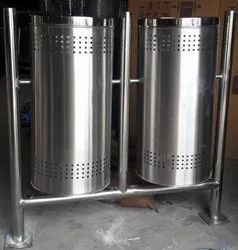 Our range of Steel Ash Bin be offered by us, that is fabricated using a premium quality raw material, procured from the authentic vendors of the industry. We offer these at affordable prices. Our range is in high demand in the market and is appreciated for its incomparable quality features. 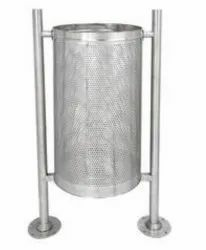 We are the Leading manufacturer of Steel Push Bin which is known for its superior functionality, high performance, and durability. They are appreciated for features like easy cleaning, durability and abrasion resistance. These are easy to maintain and available in different sizes as per the requirements of clients. We offer these machines at reasonable prices. Steel Dustin Looks Elegant and Long Lasting without any problem of rusting. 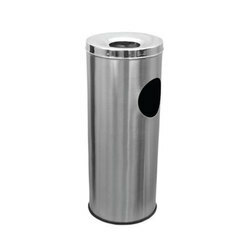 We offer an unmatched range of Push Can Waste Bin , which is used for industrial, household as well as commercial purposes. We offer these at affordable prices. 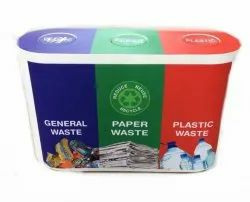 These products are manufactured using high grade plastics and are used for keeping garbage. Our range is in high demand in the market and is appreciated for its incomparable quality features. 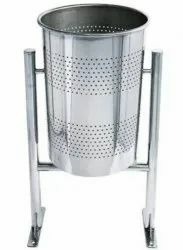 Stainless Steel Road Side 60-80 Liters Capacity Pole Hanging Dustbin with shine and Grade 304,202 with Matt finish As per requirement. Dual dustbin with 60 Liter double dustbin inside for dry and wet waste . 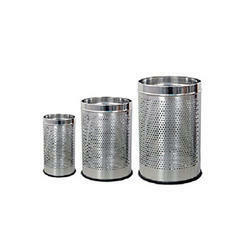 Our organization offers an extensive range of Steel Spiting Bin for the clients at industry leading prices. Our range is in accordance with the set industry standards and offered at competitive prices. These products are used in offices, bars and hotels for disposing ashes and other dry waste. They are checked on various parameters to deliver a defect free range. 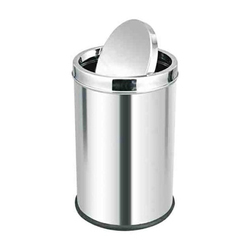 We are engaged in manufacturing, supplying and exporting of a vast array of Oval Dustbin. 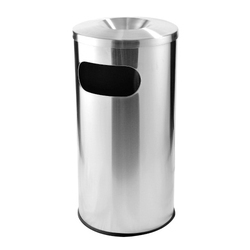 These oval dustbins are manufactured by using premium quality metal and are highly durable in usage. 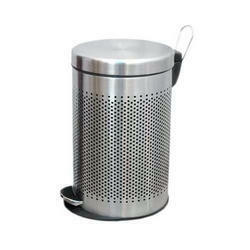 These oval dustbins find their applications in houses as well as in offices. 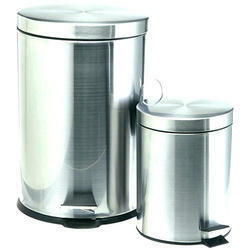 These oval dustbins are offered to our valuable clients at competitive market rates. 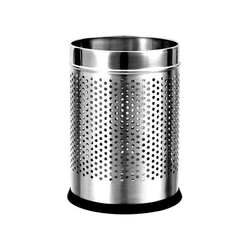 We are one of the renowned manufacturers in the country that offers a qualitative range of Four Line Perforated Bin that are manufactured using precision techniques and quality materials to offer durability and longer service life. 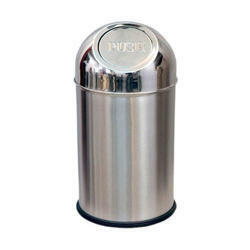 These steel dustbins are available in durable finished standards with corrosion resistant properties. Our range complies with the required industry standards and is offered at competitive prices. 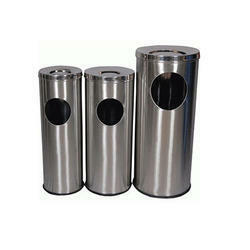 TRIO dustbin with 3 dustbin inside capacity of 60 Liter each dustbin ,stainless steel grade 202 and 304 .